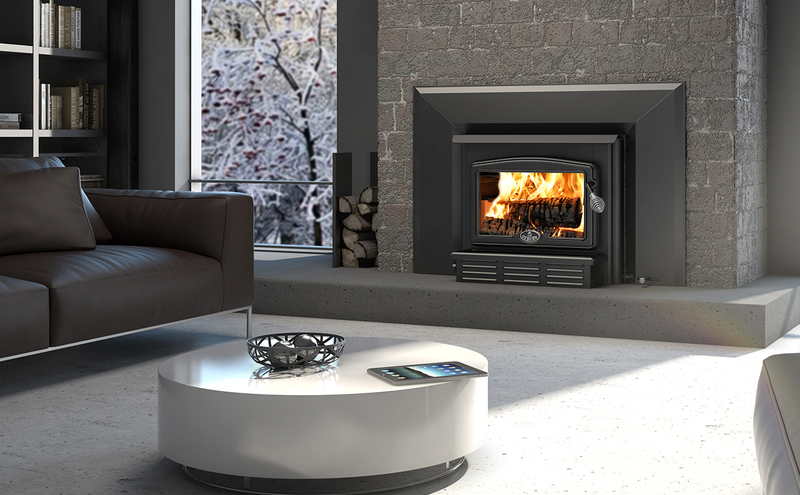 The 1100 insert is the ready-made solution for smaller stone fireplaces. With its back face at a 45° angle, it offers a wide range of configurations. The floor of its firebox is 2.5 inches deep, allowing greater accumulation of ashes and cleaner use. The 1100 insert also comes with a powerful 144 CFM blower. You’ll be amazed and delighted by the 50,000 BTU/h of heat it provides!